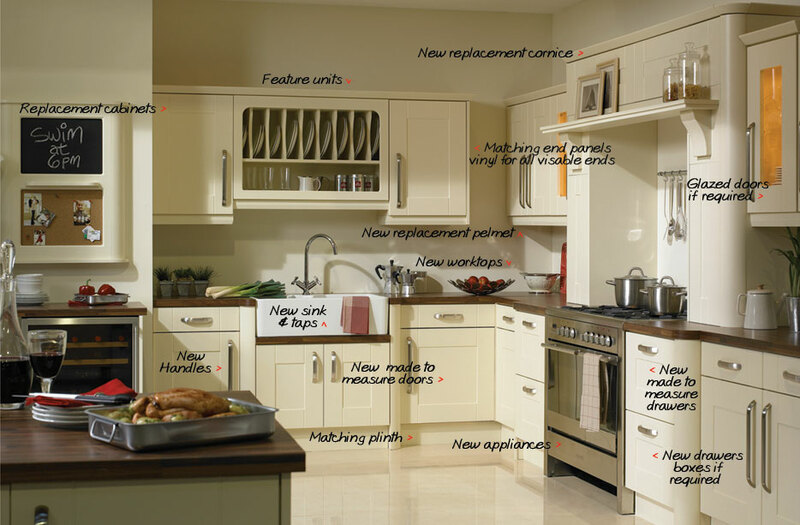 Kitchens and Updates offer a full range of Installation solutions from simple door and drawer fronts changes to complete projects, including plumbing, electrical work, plastering, tiling and the fitting of gas appliances using Gas Safety tradesmen. Over the years we have built up a truly enviable reputation with the large majority of work coming through recommendation and word of mouth. This can only be achieved by constantly providing a high level of service and getting things absolutely right. Started in 2003 as Kitchen Updates our showroom opened to the public in April 2004 with the intention of providing low cost answers to transform or simply rejuvenate tired looking Kitchens. Having spent many years in the furniture and kitchen business Neville Yeo the owner, has built up a vast amount of knowledge and actual hands on experience in all aspects of Installation, design, problem solving and project management. Kitchen Updates soon established itself in the south Somerset and Dorset area providing affordable alternatives to individual requirements. As a fully independent Business, not an expensive franchise Neville was able to research and choose his own suppliers and products. The quality and affordability of those products are vital in providing long term solution to customer requirements. What we can do for your kitchen really depends on what you want to achieve. We can provide made to measure replacement kitchen door and drawer fronts with hinge recesses, drilled in the correct positions to enable re-use of your existing hinges. We also provide a comprehensive range of cornice, light pelmet, plinths, clad on end panels and lay-on coverings, which together with the door and drawer fronts are available in hundreds of design and colour options.